Madagascar is an island country located in the Indian Ocean, off the coast of south-east Africa. This baobab paradise has a population of more than 24 million people. Madagascar is an adventure island with otherworldly, diverse attractions, which leaves you feeling incredibly appreciative of nature’s miracles. Popular attractions include Lemur’s Park in Antananarivo and Lac Tritriva in Antsirabe. Cheap flights to Madagascar are now available for a limited period of time, so get ready to journey across this serene destination. Madagascar’s capital city, Antananarivo, is home to Ivato International Airport (TNR), which is a 30-minute drive from the city centre. A trek between Morondova and Belon'i Tsiribihina on the dirt road will reward you with otherworldly scenery. The Avenue of the Baobabs stirs up alien like imagery as these mammoth trees greet you with their profound stature. Madagascar provides the perfect destination to explore without any worldly pretence. This untouched island will humble you with its beauty and will toughen you with its demands. Discovering unique Madagascar island sights makes for an epic journey. Madagascar boasts a unique biota. One could even argue that they originate in worlds beyond our own. How else does one explain so many endemic fauna and flora? Wherever their origins may be, it sure makes for an exciting encounter. Madagascar plays host to many tourists year round, however, the tropical destination’s wet season is from late December to March. During this time, this magical island can experience cyclones and is probably wise to avoid. The best time to visit genuinely depends on which part you’ll be visiting. During the dry season, the north is hot and humid, and the south is dry. June and July is the perfect time for watching baby lemurs as well as humpback whales on Ile Sainte-Marie. During November and December, the rains begin to return to Antananarivo, the north and the central highlands of Madagascar. The tourist crowds begin to depart to the cities in April. Some areas are still hard to reach due to the rainy season causing floods and leaving roads in terrible conditions. For cheap flights to Madagascar, consider the months of April to June when it is low season. A largely undiscovered part of the world, Madagascar continues to conjure up the most incredible imagery with its delightful beaches and wildlife. Nature is in abundance once you land in any one of the cities of this island. Escape the trivial influences of the modern age in this otherworldly natural landscape. 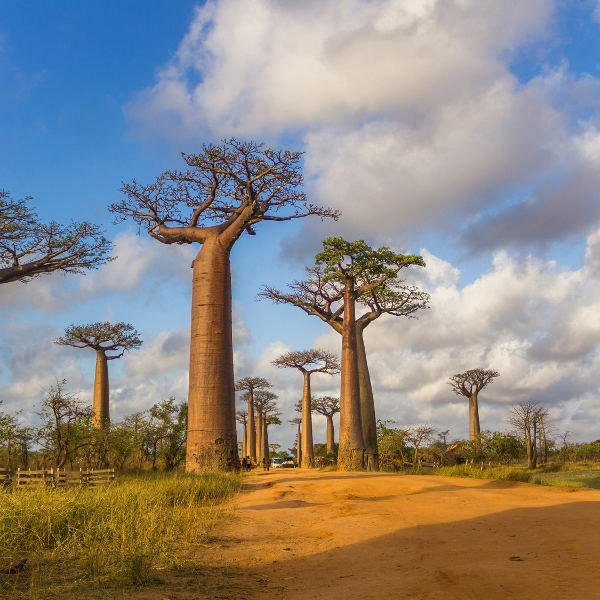 Avenue of the Baobabs, one of the treasures of this beauriful destination, enchants you with its glorious magnitude on a drive along the dirt roads though the Menabe region. 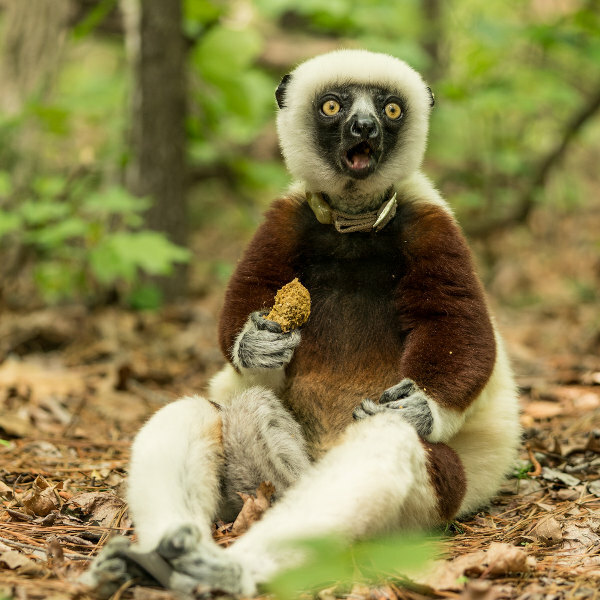 Madagascar’s unique qualities spill over into its vast animal kingdom. This bountiful island’s species include endemic chameleons, colourful frogs and, of course, the curious looking lemurs! A visit to the capital city, Antananarivo, will lead to the most gorgeous sightings. Profound experiences include a visit to Lemur’s Park in the Antananarivo Highlands. Nine species of lemurs call this private reserve home. A trip down to Analakely Market in the capital will be heartwarmingly rewarding. It is a frenetic space filled with the everyday life of the Malagasy people. 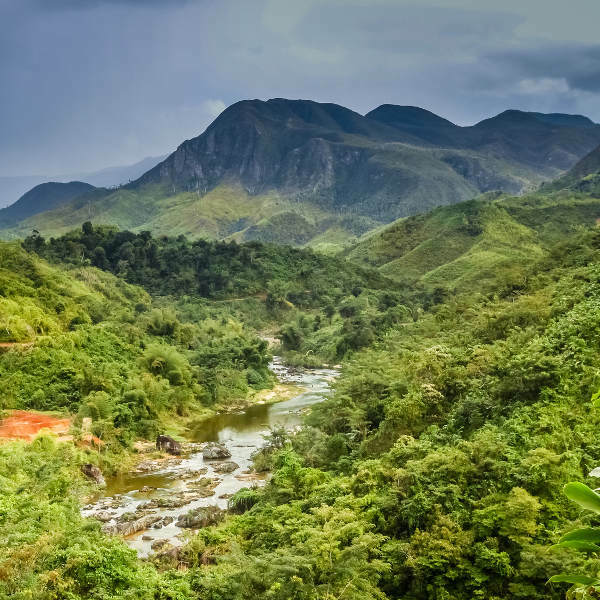 Once you’ve explored the capital city, trek up to the northwestern tip of Madagascar, Nosy Be. Dramatic in its tropical landscape, this island attracts a large scale of tourists. There are so many things to do apart from sunbathing on shallow turquoise shores and wrapping your mind around this enchanting island! A plethora of scents welcomes you to Nosy Be - breathe in the aromas of ylang-ylang, cacao, vanilla and sugar cane plantations. Compare several airlines and book your cheap flights to Madagascar online at Travelstart! Travellers flying to Madagascar are required to be up-to-date on their routine vaccinations. These vaccines include measles-mumps-rubella (MMR), diphtheria-tetanus-pertussis, varicella (chickenpox), polio, and your yearly flu shot. Depending on your itinerary, some travellers are encouraged to get vaccinations for hepatitis A and typhoid. The risk of contracting malaria, hepatitis B and rabies does exist in Madagascar; some travellers are advised to obtain vaccines to safeguard against these diseases. Madagascar’s overall crime rate is lower than many other African countries; it is wonderfully safe to travel to. Tourists are still encouraged to be cautious when travelling through this magical and unpredictable landscape. It is advised to hire a reputable guide in the capital city, Antananarivo and southern districts of Toliara and Fianarantsoa. Avoid wandering around at night (especially if you are alone) and avoid isolated beach areas. You should also keep a watchful eye over your belongings to avoid pick-pocketing, especially in crowded areas and airports.